The final step in the Accufit process is to press the Calculate Bike Setup button and display the stem and saddle placement information. This information will allow you to shop for the correct equipment if it is required, and can also be used to insure that when purchasing a new bike, it will be provide the best fit possible when you get it home. 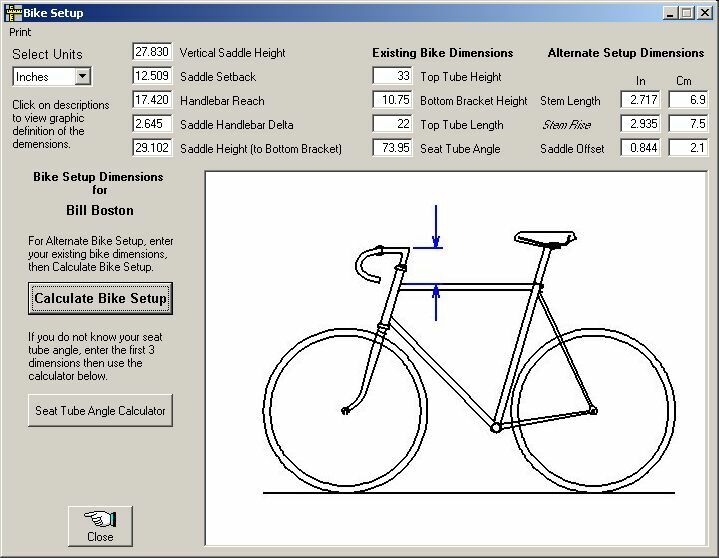 Don't leave your bike fit, comfort and efficiency to chance. Get the bike fit that you deserve with Personal Accufit. Thanks for taking the tour.